Jennifer Havice talks about how to do customer research, how writing a book has changed her business, the #1 thing she’s done to move her copywriting business forward in the past year, what she’s learned from horses and a ton of other great advice on the twelfth episode of The Copywriter Club Podcast. Don’t miss it. Click the play button below, or scroll down for a full transcript. Rob: The Copywriter Club Podcast is sponsored by Airstory, the writing platform for professional writers who want to get more done in half the time. Learn more at Airstory.co/club. Kira: What if you could hang out with really talented copywriters and other experts, ask them about your successes and failures, their work processes and their habits, then steal an idea or two to inspire your own work? That’s what Rob and I try to do every week at The Copywriter Club Podcast. Rob: You’re invited to join the club for episode twelve, as we chat with freelance copywriter and marketing expert, Jennifer Havice, about conversion copywriting, how to do customer research and the impact of publishing a book on her business. Kira: Hello. Hello, Rob. Hello, Jen. Jen: How are you guys doing? Kira: Jen, to start, I would love to hear about your work with horses because I know that’s a passion of yours and I want to tie it to what we’re talking about. If you could tie and connect your work with horses and about hobby and interest into business, what have you learned from your work with horses that has helped you in business? Jen: I haven’t but it’s actually a very good question because … and it may still happen. At one point, I was working with my trainer to put together some resources for women riders and to help them have better relationships with their horses. There’s just so many actually interesting life lessons that you can take from working with horses and there are things that are not only just life lessons but I’ve applied to my work and writing. Things like, clarity of the message, making sure that you’re being very direct in your communication. Especially with animals, they need very clear communication, they need to know what you’re talking about. They get very frustrated when you’re giving them lots of different cues and mixed signals, which is something that happens on websites, as we know, and other forms of communication that we work with. Yeah, it’s interesting working with animals and that relationship and really needing to be honest and transparent and direct because they can totally see right through you. Rob: Jen, I am curious, sort of stepping away from the horse training thing, how did you get started as a copywriter? You’ve got a lot of big clients and people who depend on you for the copy that you do and a lot of people saying good things about you, people like Peep Laja and others? How did you get started and how did you get to where you are today? Jen: That’s very kind of you. Well, it’s funny, I started writing online, gosh, probably about almost eight years ago and really got into blogging, of all things, and was writing some social commentary online for myself and for some other sites. As I was trying to promote that and get some of my writing seen more, I was learning everything I could about social media and how do you promote yourself and get yourself out there and everything to do with online marketing. What ended up happening is people started to come to me for that. First as friends but you know, “How do you do this? How do you do that?” It evolved to getting paid helping people doing some of their social media work. I really wanted to get back to the writing. I fell into the whole conversion rate optimization thing and conversion copywriting and just dove head first into it and wanted to figure out how I could use that to not only help my own writing, which I’ve forgotten about these days but then other businesses. That’s really where it started. Before that, I just was all over the map. We lived all over the world and I didn’t have a direct career path to this. I just finally got to a point where I wanted to create something for myself. That’s where it all started. Kira: When you say, you fell into conversion copywriting, what do you mean specifically? Did you take courses or did you just start reading about it and implementing with your projects? How did you transition into the conversion copywriting world? Jen: I think what happened, and I don’t remember exactly, but I think what happened was, in trying to transition more from helping small businesses with their social media and that piece of things to how can I help them with their actual copywriting, I think just in my own need for more education, how can I do this better, I came across the CRO principles and then Copy Hackers and something just clicked with me. Where I just loved the idea of being able to mesh both the quantifiable and the non-quantifiable, the art and science of words, I guess. Once I tripped upon that in my web surfing travels, from there, once it clicked, I just started reading everything I possibly could and then taking courses and taking on more clients, starting out small but really trying to implement those principles and then going from there. Rob: Jen, you have, I think, a really defined, or at least in my opinion, a pretty well defined process for how you engage with the client and do customer research. In fact, you’ve written a book about it, which I want to talk about in a minute. I’m really curious about that process of customer research, how you came about figuring that out and what you do when you take out a project in order to figure out what it is the customer needs to hear in order to click the buy button. Jen: Yeah. All of that qualitative research, the customer research end of things, is really a byproduct of having jumped into the CRO world, I guess you could say, and learning from people like Peep and Joanna Wiebe and a lot of those experts out there. For me, I’m kind of a data nerd, a research nerd, as far as the qualitative research is concerned, so I really enjoy that element of it. It just really made sense to me to dive into what customers are thinking and how they’re feeling as the basis for how you were going to write your copy. When a prospective client comes to me, I let them know that doing that customer research is a first step before we’ll even tackle any copy. It’s about figuring out the messaging and doing things like online surveys, pop up one question surveys, interviews, just going online and seeing what other people are saying about similar products, things like that. Things that you and Kira do every day. I just really make it part of a condition on working with me. Kira: How do you position that? I know from conversations with you and just for my own projects sometimes, there’s push back from clients who don’t totally get it. They’re like, “Oh, I don’t want to pay extra for the research.” Like you said, you need that in order to do your job. How do you position it in the proposal or in a conversation so that it makes sense and you can still get paid for that part of the project? Jen: That’s the million dollar question. Rob: That makes this the most valuable episode ever recorded then, if you can answer it. Kira: One million dollar episode. Kira: But you’ve done it. You’ve done it. Jen: I have, yes. I have but that’s the big challenge and that’s something that I come up against constantly. Something that I have been talking to a lot of different people about, not clients necessarily but other copywriters and researchers and just trying to get a sense of, you’re asking me but how other people are positioning it. I think, part of what I’ve realized is that it’s partly an education piece. It’s about educating the client up front, just when you’re talking to them. Also, it’s an education piece on putting content out there into the world that really walks people through the value of it and why it’s so important. When I have people come to me, I don’t really give them an option, in the sense that I may break out the proposal, like there’s a discovery phase and then there’s the copy phase or the optimization phase. If you want to work with me, you can’t really do one without the other. So, there are clients that they do just want the quick win. They don’t want to go through the full process. What I’ve realized is, those are not really the ideal clients for me. It’s partly a positioning thing, as well. That’s the thing that I’m going to work on more this year, in terms of putting out more content that is educational but really thoughtful. In terms of why this is so important and if you value this as well, you can really understand the importance of doing it, then I’m a good fit for you. Rob: I want to really dive into that a little bit more, why is it important? So many clients, I have the same thing, when I put together a proposal and send it to a client, oftentimes they’ll come back and say, “This is great, but we just want the copy portion. Let’s save $1500 and not do the research.” At that point, by the time that conversation’s having … I’ve lost the battle. The customer doesn’t understand why it’s so important. Let’s talk about that. What do you get out of the research, that informs the copy, that makes it so worthwhile paying for it? Jen: Well, I think that having me to position it and this is the thing that I’m working on is, doing the research and really understanding what your customers are feeling, what they’re thinking, what their motivations are, why they’re coming to you, how aware they are of your product, your service, your brand, really informs how much of an argument you need to make on the page and each step they need to take, through your website or through the customer journey. I think the argument is that by doing at least a certain amount of it, I think depending on client and the project, there can be different levels of customer research that are appropriate. At least doing a certain amount is going to give you a lot better chance of having a really good outcome. As copywriters who understand the CRO process and understand the concept of heuristics, you can go in and without doing any research, I’m sure you can pump up the copy and make it more clear and succinct and readable and interesting. That, in and of itself, may very well give you a quick win and get you some results. I think over the long term, if you want to be making really meaningful thoughtful changes to what you’re doing for a much better outcome over the long haul, you really need to be doing that customer research. Kira: This reminds me of a conversation I was having, this past weekend, with a copywriter friend, who is incredibly successful, great writer, growing business, and doesn’t spend a lot of time on the research, and she’s admitted that. It’s just not a part of her process. I think a lot of copywriters, we’ve all been trained in a similar way. We’ve read Jen’s book so we’re doing the same things. A lot of copywriters are not focused heavily on the research and they probably could still be seeing success and may not think otherwise. If you could just suggest, “Hey, try this one tactic and just see if it changes your writing process or the results,” what would it be? Would it be the survey? Would it be the interviews? Would it be data mining? Just kind of like a baby step for them. Jen: I would say, what I’ve found a lot of success with, especially at the beginning, when you’re dealing with maybe smaller clients or clients that aren’t used to having that piece of the puzzle that they have to pay for, spending at least some time just going online and doing some message mining. Going to Amazon and reading reviews of comparable products or it may very well in fact be the product that you need to talk about. Seeing what actual paying customers are saying about it and pulling out the words that they’re using and getting a better understanding of why they love it, why they maybe don’t like it, what their objections were to purchasing, possibly, things like that. That doesn’t have to take a crazy amount of time. Just doing that alone is incredibly helpful. Rob: It seems that some of the best headlines … Well, you hear people that talk of headlines and say things like, “Well you’ve got to generate curiosity or you’ve got to use power words, or you’ve got to use sensory words.” You’ve got all of that going on but the best headlines seem to come from the customers’ own words. Jen: Yeah. I definitely think that going through and if you were finding words or phrases that are repeated over and over again, you can bet that that’s probably going to be a home-run for you, if not in a headline, in some aspect of the copy. It’s clearly resonating with people and it’s what they’re thinking about in terms of that product or that offering. I think that that can be really helpful. I’m not discounting the creative art piece of putting the words together. I do think that the whole advent of CRO and the affinity with data, that some of that gets lost. I do think that that’s a really critical component. I do fear that we’re getting to a point where, we’re all sort of copying each other or losing track of creativity. There are some intangibles that resonate with people that you’re not going to get from Google Analytics or maybe even from message mining. Kira: Are you suggesting that maybe not enough people are taking that data and the voice of customer and just really inhaling it and then figuring out what it means, then creating something that’s new, based on what they’ve already absorbed? That we’re just taking the data and regurgitating it and putting out the same stuff over and over again. Jen: Well, maybe not exactly that but I think with the … Don’t get me wrong, it is wonderful having these forums like Inbound and GrowthHackers and all these places where we can connect, because I think it is so important that we do that and we bounce ideas off of each other. At the same time, we can get into a little bit of an echo chamber. Everybody’s trying to do the same best practices and following the same types of rules. A lot of times they do work and it’s great. I think that there needs to be a balance between following the data, following the research, going through a system or a process, so that you really understand what the customer needs. Then, also, infusing some of the brand’s personality and really making sure that it feels human and that it’s coming from a person. Rob: I think that’s a really good point, when you say, that best practices are there for a reason but if everybody does the best practice, now it’s common practice and best practices don’t stand out. That’s where you really need to bring in that creative element or the customer input and the things that you can get from the research process that maybe you don’t get from the, use the one crazy trick headline or number seven will blow your mind trick, that gets people. Once everybody’s doing that it doesn’t work anymore. I like that point a lot. Jen: One thing that I’ve been thinking a lot about and I would suggest to people too is, whenever possible, I know we have very limited amount of time, but get out of that echo chamber and read other sources. Read things from social psychology and other areas of business. Whatever it is, because going back to the beginning of our conversation, thinking about how I interact with the horses and what sort of lessons I’ve learned from them, you start to create these different connections and ideas that, I don’t know, help come up with some new creativity, in terms of how am I going to look at this research differently and how can I take what I’ve been given? Maybe come up with some different ways to present it, that’s in line with the research but is maybe going to be a little more new and innovative. Rob: We interrupt this interview for a special message from our sponsor, Airstory. Kira: We are really excited. I’ve got a big smile on my face. We’re so excited for our first sponsor of the show, Airstory, which Rob and I got to experience in beta, a couple months ago. Rob, I know you’ve been in there. Can you tell me a little bit about what you like, and what the experience is like so far? Rob: Yeah, with Airstory, there’s actually a lot to like. I’m just going to share one thing that I like the most about it. We can talk about the awesome design, we can talk about the tools that are there for writers and how it helps you speed up. The thing that I love is that, when I’m working on a project, let’s say that I have a client that needs me to ghost a blog article and it’s on say, internet security. When I’m doing the research for that, instead of having 20 browser windows open and copying and pasting things into a Word document or into a Google document, and having all this information scattered all around, Airstory allows me to clip little pieces of research or even large pieces of research and adds it to the document that I’m working in and it basically creates a current file, that then I can mix and match and move around in order to create the document that I want. It’s sort of like Scrivener but with a much easier to use interface and it makes working on a document a real pleasure. It’s something that I think any writer who’s listening ought to give it a try and see how it goes for them. Kira: You can get more done in half the time. Go to Airstory.co/club to get started. Rob: Now back to our show. I want to shift gears just a little bit and talk about your book. You know, I’m a huge fan. I think I’ve promoted your book to my list like three times over the last year, whatever. Jen: I can rely on you for those sales. Rob: I’m not getting a referral fee or anything like that. It really changed the way that I thought about doing research. Let’s talk a little bit about your book. I know we’ve been talking about the research process already and that’s what your book is really about but why’d you write the book and what should be the main takeaway from somebody who reads your book? Jen: You know, I wrote it because, like I said, I’m a little bit of a research geek but at the end of the day, what I think gets lost for a lot of us is the fact that we forget that it all starts with the customer and that we need to listen to him or her, them, whatever. That there’s really this big empathy component, or at least I like to think that there should be, a big empathy component when it comes to what we’re doing, whether it’s design or the words on the page. That’s really the overriding theme of it. That’s all well and good to say, you need to listen to your customer and you need to have empathy and you should do all these things because at the end of the day, it’s going to help you grow and get more sales and leads. Then, you need to know how to do that. The hours and hours and hours and hours that I’ve spent studying and reading what everybody else has been doing and what I’ve learned, I found that I still had questions. What do you do when this happens? Or you follow the path down and then, gosh, I still have questions. I’m not exactly sure. Some of it was through my own process, things that I had kind of come up with. None of this is necessarily groundbreaking or brand new but it’s just partly me following the extension of the continual questions I had. What do you do when you do have a pop up survey and it’s not working and how do you take all this information that you’re getting and parse it out and find the nuggets and then translate that into usable copy? I just thought it would be helpful for other people, since I had all those questions. Kira: Oh, yeah. I have a copy too. I haven’t shared it with my list because I been on my list in like five years, but if I do email [inaudible 00:26:40]. Rob: That’s the first email you’re going to send. Kira: I feel like I should just pimp a book. Right. I’m selling a book that’s not mine. I bought it because you’re a friend. Then, I read it and realized it’s actually, it’s a tool. It’s something that I keep close by because I have used it. I think you just simplify the research process. It feels easy and achievable and less overwhelming. That’s what I took from it. I’m just interested in how it has impacted your business because I view you as this authority figure. I wonder if that’s directly related to the book or if it’s due to partnerships with some bigger names in the industry, speaking gigs, if you can attribute it to anything specific. Jen: I would say that a lot of it, just getting my name out there, just started with putting myself out there and connecting with other people that were bigger leaders in the industry and learning from them and then putting myself on their doorstep and saying, “Okay, so can I wrote a blog post for you? Is there any way that I can help out with X or Y.” To learn more about how they do things. It’s partly just getting your name out there and associating yourself with other influencers. The book, in all honesty, I did very little to promote it. I really should do that. For me, it was more, I guess in a way, an authority building piece, just to have that out there in the world. It’s on Amazon, I had it professionally edited. Not so much to make money off of it but to be an authority builder. I would say that I’ve had at least one, actually maybe two clients, that hired me because of the book. I was like, “Wow! You found my book?” And they love it? Kira: They’re on Rob’s list. Rob: That’s right. I’m sending my clients. Yeah. Jen: Yeah, I know, it’s like they hire me. No, but anyway. After picking myself off the floor, I was thrilled that that was something that brought in other clients. That was, I guess ultimately, the point. I would say that that’s putting your content out there if it’s really good and it shows that not only do you have a deep understanding of what you do but you can also make meaningful connections. People do read. It still amazes me but people do read. If they’re looking for that information, they’ll find it and then they’ll find you. Rob: It seems to me that somebody listening to this might be thinking, “Okay, maybe a book is the way that I start to build my brand or my credibility.” Let’s talk a little bit about how easy or difficult it is to write a book. What does the process look like? How much time did it take? I imagine, even though you’re a writer, you didn’t just sit down and it’s three days and you’re done and you have this magical piece, you’re bringing in business. What does that process look like? Jen: Well, you know, Rob, because you’ve just done a book as well. Enough about you, we’re talking about me now. Jen: Exactly. It took a long time and it’s a pretty short book. I forced myself to sit down and even if it was, I’m just going to get out a page. I’m just going to get out a certain amount and work through it. I did. It definitely was a laborious process. I felt strongly that I wanted it, even though I was “self-publishing.” I wanted it to be as professional as possible. I not only paid a friend of ours, who is another very good copywriter, James, he went through it and just gave me some high level feedback, which was really helpful. I did that and then after that, I sent it off to an editor and had her go through it and then I had to go back through it again and got it to its final form and then from there it was just a matter of doing the whole Kindle thing and create space and figuring out all those types of things, which there’s so many resources out there, it’s not difficult. It’s just time consuming. Rob: You mentioned that I have been going through the same process and honestly, writing takes a long time. I hired a designer to work on the layout, which I’m really pleased with. It’s not difficult necessarily to get it on the Kindle and then to create space but it’s time consuming and there’s just so many little things and yeah, it might be worthwhile paying somebody to actually go through that process, if I ever do it again. Kira: Make millions of dollars. Jen: Yeah, how can I use it as an authority piece? I guess, I could say that like the one client, that actually read it and decided to hire me, more or less based on that, was probably my biggest client in terms of project price. Yeah, that was really great. I didn’t even realize that until after, when I asked him for a testimonial and I sent him some post project followup questions like, “What could I have done better and why did you decide to work with me?” Things like that. It was like, “Oh, wow. Great.” I think it’s definitely something that is valuable but you just really have to decide how much time you have and what your goals are and if you really want to do it. Kira: Jen, now that you have … the book is published, you have super-fans out there, you have speaking engagements, past speaking engagements, great clients, where are you today? If you could just be real with us and just share where are you in your business today? What challenges are you dealing with? As someone who we view as this authority figure who’s got everything figured out, what’s the real picture? Jen: I feel like I have nothing. I don’t. That’s probably totally not what people want to hear. Rob: Pay no attention to the woman behind the curtain. Jen: Yeah, yeah, yeah. It’s all smoke and mirrors. It’s a little bit smoke and mirrors. No. There’s been a lot times, especially over the last year or so, you guys know because we’re friends, where I just have questioned, “What am I doing? Do I really want to continue doing the copywriting piece and things? Is it really feasible to just focus on trying to do the research? I don’t know, do I want to become a barista at Starbucks?” Not really. At this point, I’m weirdly excited about the coming year in the sense that I’ve really trying to focus on just taking on projects that feel meaningful to me and that I’m finding that the clients have similar values to what I value, in terms of the process and understanding that it’s not all about the quick wins. How can we create messaging and copy that’s going to really speak to your core audience and connect with them? Not only just bringing more sales and revenue, which is mostly what’s important to businesses. There definitely are some clients out there that, yes, ultimately that’s the big goal but they do really care about their voice and creating meaningful messaging. Jen: Yeah. Still, hopefully good takeaways but I’d love to elevate the conversation a little bit more out there, in terms of what we do and like I said before, trying to make similar connections. Like, how can we think about things more creatively, so that we’re following the data and we’re doing our research but we’re also coming up with some interesting, innovative ideas too. Rob: I can’t wait to see what you write, it’ll be interesting. Kira: Yeah, do it then. Rob: Yeah, show them. Do it. Rob: Exactly. Jen, at the beginning, when we started talking you mentioned some places where you started your career, trying to find information, Copy Hackers, ConversionXL, Peep’s blog, where do you go to find learning now? To up your game, where do you spend your time, and how do you do that? Jen: Wow. Yeah, I would say that what’s probably helped me the most over the past year in particular, I’m probably spending less time going to those types of sites, even though I still read a lot. I think what’s been super helpful is having our cohort of copywriters, CRO people, that we’re tied to. I communicate with you guys and other people in this realm. Just getting that constant feedback about what are you seeing out there. How does this look? What’s your opinion on this or perspective on that? Having that sort of community has been probably the most valuable thing for me recently, I would say, beyond just trying to go to some of those places online, to read more. I think being able to make those connections and having real life conversations, whether it’s even like in Slack, doesn’t necessarily equate to having coffee with someone. There is still that one on one connection where you’re getting real time feedback about things and the ability to just say, “Hey, do you have five minutes to hop on Skype and can we talk, actually talk about something?” I think that that’s been the most valuable. Rob: That’s been something we’ve done a couple of times, just chatting through. Sometimes it’s a sales page, sometimes it’s a pricing question, but I agree. When I’ve been able to jump on the phone or on Skype with you, and just work through some of the things I’m thinking, it’s super helpful. You’ve definitely helped me improve some of the pages that I’ve sent to my clients. I’m 100% on board with that kind of advice. Kira: Yes, all the time. Jen: All the time. It’s just constant. Granted, you shouldn’t necessarily be seeking validation for everything you do from somebody else. Kira: I do. I do it all the time. Jen: I know, I know. Rob: When you’ve written the book, when you’ve given the talks, at some point, you’re no longer the impostor, Jen. You’re the expert. Jen: I know. Yeah, but you know what it’s … We’re human. I know for all of us, men, women, it doesn’t matter, it’s a little bit more rampant for women. Even if it’s just every once in a while, be able to say, “Hey, can you look at this?” Or, “Hey, what do you think about this?” It’s really helpful. I don’t want to say it solves that, I don’t think it ever totally goes away but it doesn’t make you feel so alone. Kira: Yeah. I’ll echo Rob. Jen, you have been a huge help with many of my sales pages. I always cringe when I share anything with you because I know you’re going to share really good feedback that I know I have to implement, so I know you’re giving me extra work, but it’s always spot on. It always helps elevate the piece. I think, what I’ve learned from you too is just that, I think you’ve become this authority figure, not only because of your book but because you’re humble enough to reach out to people in a collaborative way. Like Rob said, he’s had calls with you, I’ve had calls with you, you make it really easy to help you and you make it easy for you to help other people. I don’t think a lot of copywriters do that. I think that’s what’s really unique about you and I appreciate about you. Jen: Oh, thank you. No, I appreciate it. I guess that would be one thing I would say is help each other because let’s face it, there’s a lot of terrible writing out there. This is a growth industry. Kira: We’re going to end this show with a really positive note. There’s a lot of bad writing out there. Jen: There is, which means that there’s just a lot of opportunity for people to get out there and help these businesses with their copy and grow. I really don’t ever see it as a competition, I just feel like there is so much work to go around. Jen: We can all help each other. Kira: That’s a positive note to end on. Jen, where can we find you online, if we want to work with you or buy your book? Jen: You can find me at MakeMentionMedia.com and on Twitter @JenHavice. There’s a link to my book in the footer of my website but I also have a landing page for that, that I can share with you guys. Rob: It’s available on Amazon and I seriously can’t emphasize enough, if you’re a writer, and you want to do customer research, start with this book. It really is that good. Jen: Wow, well thanks so much. I really appreciate it. Kira: Thank you for your time, Jen. 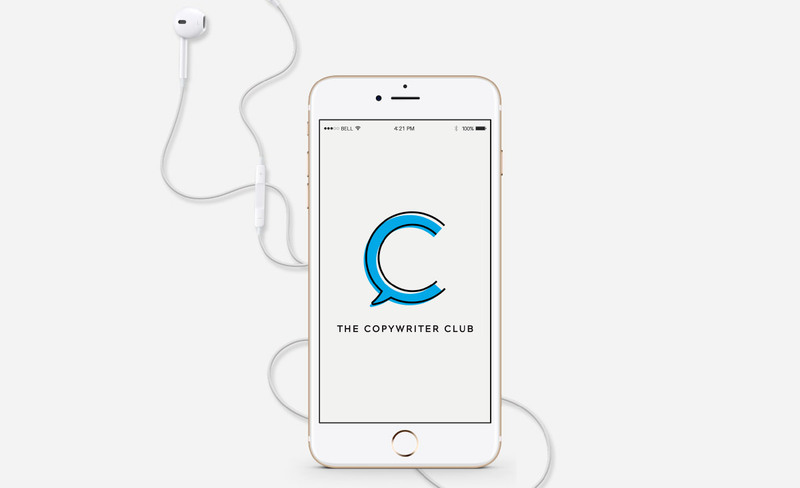 RM: You’ve been listening to The Copywriter Club Podcast with Kira Hug and Rob Marsh. Music for the show is a clip from Gravity by Whitest Boy Alive, available in iTunes. If you like what you’ve heard, you can help us spread the word by subscribing in iTunes and by leaving a review. For show notes, and full transcript, and links to our free Facebook community, visit thecopywriterclub.com. We’ll see you next episode. There's plenty more where that came from. Sign up for The Copywriter Club email newsletter today and we'll send you the unpublished Doberman Dan interview (plus several other awesome resources) in addition to regular updates about what's going on in the club.The only way to get these resources is to drop your email in the box and hit "gimme!". I’m only 2/3 of the way through and, already, I’ve gained so much from listening to your conversation. Thank you for sharing. Thanks for listening Natalie. Thrilled to hear you find the podcast valuable. clients and strategically position yourself at the tippy top of the industry. Find out what’s possible for your business when you join a community of copywriters who prefer collaboration over competition (and insider information over figuring it out all alone). Design By We Are Branch. Development by Alchemy + Aim. Photos by Misha Hettie.